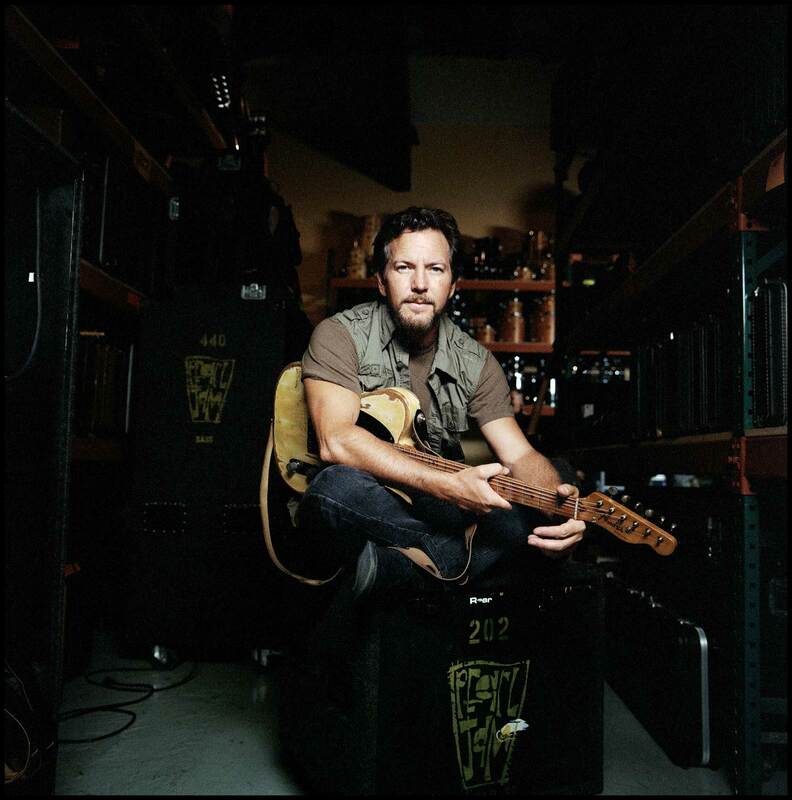 Music: 1990-Present - Pearl Jam, singer, songwriter, guitarist, ukuleleist. Film: 1992 - Singles, appearance. 1995 - Dead Man Walking, soundtrack. 1996 - Hype!, appearance. 1999 - Cradle Will Rock, soundtrack. 2001 - I Am Sam, soundtrack. 2003 - Big Fish, soundtrack. 2003 - End of the Century: The Story of the Ramones, appearance, camera work. 2006 - Reign Over Me, soundtrack. 2006 - Amazing Journey: The Story of the Who, appearance. 2007 - Tom Petty and the Heartbreakers: Runnin' Down a Dream, appearance. 2007 - I'm Not There, soundtrack. 2007 - Running the Sahara, soundtrack. 2007 - Walk Hard: The Dewey Cox Story, appearance. 2007 - Into the Wild, soundtrack, Golden Globe Award for Best Original Song "Guaranteed." 2008 - Song Sung Blue, appearance. 2008 - Body of War: Songs that Inspired an Iraq War Veteran, soundtrack. 2010 - Eat Pray Love, soundtrack. 2011 - Pearl Jam Twenty.